Ads are everywhere, and this can feel especially true when you’re trying to avoid them. And believe us, people trying their hardest to do just that: In our latest collaboration with Moz – Inbound vs. Outbound: Consumer Perspectives on Marketing Effectiveness – we determined that more than 50 percent of Internet users admit to employing some sort of ad-blocking software. So what’s the most effective way to break through to your target audience? 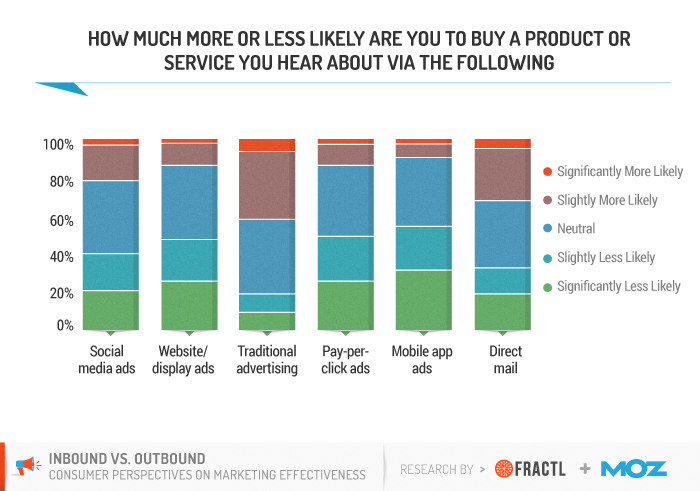 We conducted a two-part study to find out: First, we surveyed more than 1,000 individuals about various marketing tactics – both traditional advertising along with newer channels such as content marketing – and then we took a closer look at what $10,000 could buy you across each of these channels. 1. 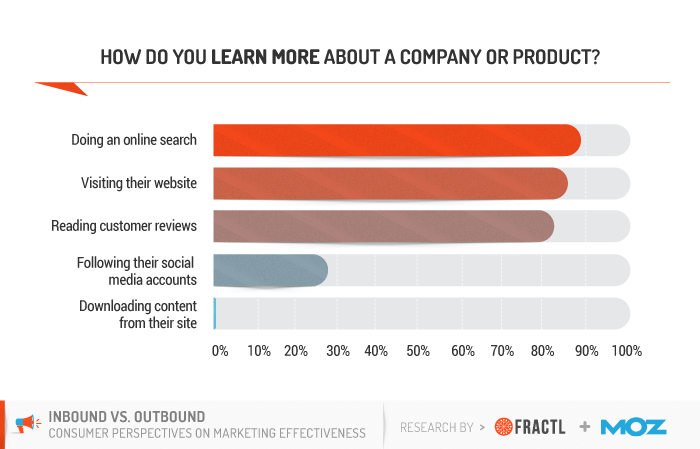 Nearly 90 percent of consumers perform a simple online search to learn more about brands. Company websites and customer reviews are also important resources for 85 and 80 percent of consumers, respectively. A little fewer than 30 percent follow a brand’s social media accounts to learn more about it. Although visiting a brand’s website is popular, consumers find that downloading available content is one of the least effective ways to learn more about it – only a little more than 10 percent choose to do so. 2. Avoid emails and earn positive coverage: Online articles positively influence the buying habits of consumers while email marketing has a higher chance of deterring conversions. The power of a simple online search is also very real in terms of conversion – more than 75 percent of respondents are positively influenced by what they find through search engines. Press releases and social media posts have little impact on purchasing decisions, each positively influencing fewer than 50 percent of consumers. Email marketing is one of the few tactics that appears to negatively influence buying habits – nearly 45 percent of consumers are less likely to buy something they’ve heard about via email. 3. Although a majority of consumers prefer direct mail, inbound marketing tactics like content marketing can earn your brand nearly 200 percent more views. The final part of our study compared the cost of more traditional awareness efforts such as direct mailers with newer tactics like content marketing, and we leveled the playing field by starting off with a $10,000 budget for each tactic. 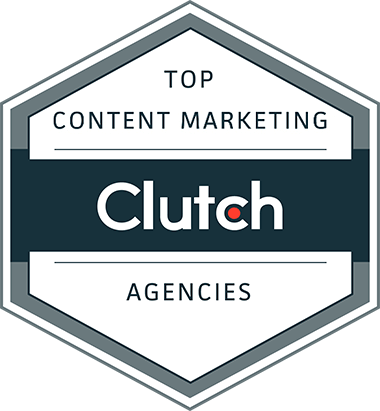 For a typical content marketing campaign, this investment will earn the client end-to-end strategy, production, and promotion. 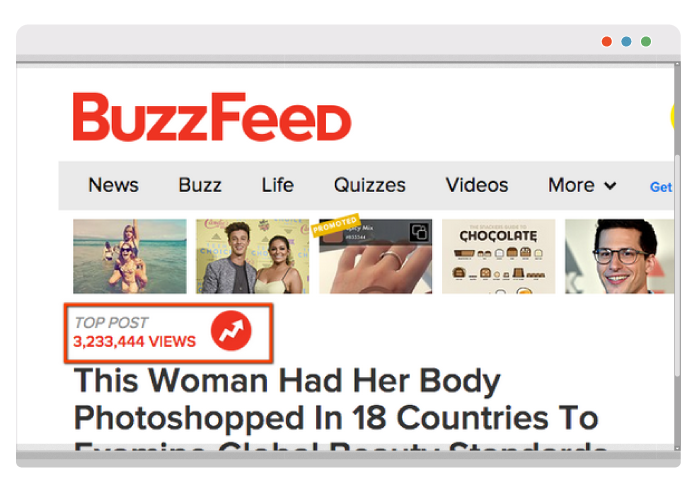 In terms of views, we used our latest client campaign that was placed on BuzzFeed and earned more than 3 million views. For direct mailers, we calculated the total amount of impressions by taking $10,000 and dividing it by the CPM (cost per mille) for a standard letter-size envelope – $583. Multiplied by 1,000, this would allow you to reach 17,153 households – nearly 200 percent fewer views than the earned media on BuzzFeed. So what are the key takeaways from our research? There are at least a dozen channels marketers can use to reach their target audience, but keep in mind some tactics are more cost-effective than others. A sustainable strategy balances efficacy and efficiency in an effort to maximize results, and if you have a smaller budget, remember that the majority of our respondents value earned media above more traditional advertising.